Cost: $2.00 One-Way Riders, $1.00 additional stops. OKC, Tulsa, Enid, Stillwater, Etc. Riders are expected to cancel a ride, if no longer needed. Please, cancel at least 30 minutes prior to arrival by phone or message. All passengers must schedule rides and changes through the dispatcher. 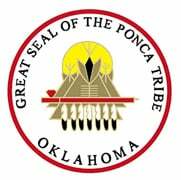 Copyright © 2018 Ponca Tribe of Oklahoma. All Rights Reserved.